A 24 year veteran DJ from the Midwest Rave and Techno scene, Simon Alaya is a versatile selector and curator of Electronic Music. His roots lie in Techno, Acid and Trance and he has used these influences to shape his current sound! 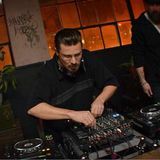 Known these days for his Funky, Driving Techno and Tech House he will undoubtedly set the mood right anywhere he plays. Check out Simons entry here.